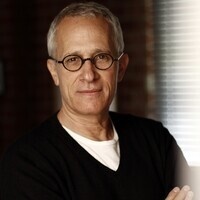 James Newton Howard is an 8-time Oscar nominee and one of the industry's most versatile and in-demand composers, with over 130 motion picture and television scores to his credit. Howard has received eight Oscar nominations, including six for Best Original Score for Defiance, Michael Clayton, The Village, My Best Friend's Wedding, The Fugitive and The Prince of Tides, and two for Best Original Song from Junior and One Fine Day. Howard's long list of credits include Red Sparrow, Fantastic Beasts and Where to Find Them, all four installments of The Hunger Games, Maleficent, Snow White and The Huntsman, Salt, The Dark Knight (for which he won the 2009 Grammy Award along with Hans Zimmer), I Am Legend, Blood Diamond, King Kong, Batman Begins, Signs, The Sixth Sense, and Pretty Woman. Howard’s success reflects the experiences of a rich musical past. Inspired by his grandmother, a classical violinist who played in the Pittsburgh Symphony in the ’30s and ’40s, he began his studies on the piano at age four. Though his training was classical, it was his early work in the pop/rock arena that allowed him to hone his talents as a musician, arranger, songwriter and producer with some of pop’s biggest names, including Elton John, Crosby, Stills & Nash, Barbra Streisand, Rod Stewart, Bob Seger, Chicago, Toto, and Chaka Khan, among many others. When he was offered his first film, Head Office in 1985, he knew he had found his calling. James Newton Howard will tell stories from his rich and versatile experience and show clips from several pivotal films. How do i find my computer in windows 10,your are not alone here,many people facing this same issue http://windowstuts.net/synchronize-settings/ so,today we will be learn the best of the best solution.